‘The Yellow Chilli Cookbook’ wins International Award! Vacation mode over as I will be catching a direct flight to Kolkata tonight from Singapore for the Sweekar Media Conference. Quite thrilled as I will be doing a cooking demo with the Sweekar product alongwith the bangla beauty, the famous actress, Rituparna Sengupta. My visits to the City of Joy have always been exciting and awe-inspiring as I just love this arty place, with its warm and cultured tradition and people. Not to forget, the absolute awesome food to go with it. Next in the loop will be my visit to Spain, as I return from Kolkata, for the event in Casa Asia where I will be meeting famous Chef Carme Ruscalleda to have a round table conversation on “Culture and Food”, under the aegis of the Indian Future Leaders Programme (IFLP) on June 1, 2012. During this trip, I will also be travelling to Valladolid for a Master Class on June 2, 2012 at the International School of Cooking, where I will be interacting with a lot of students and renowned chefs. The following day will be sightseeing in the historic city of Valladolid and just after that my return to Mumbai via Madrid. And Innovation Station is back in office! It is Season 4. The chefs are all busy wracking their brains and coming up with the best of cuisines this time for the theme ‘Indian Regional Cuisines’ for the competition scheduled on May 25, 2012. Our judge is Chef Rajeev Arora, Executive Chef, Hilton. The book on Tiffins is at its last stage of designing with the final cover and I must say it’s quite an amazing piece of work, so highly recommend you get it as soon as it’s out! Alongwith this, the designing of the book on Chocolates has also started, some exhilarating first copy designs I’ve seen and I foresee a great product with this one as well! Enjoying to the fullest in Singapore with my lovely family. Next halt is Malaysia. It’s always great to have these mini vacations in between work to revitalise the entire mind and body, only to return with maximum energy and a fresh mind for more and more work. I will highly recommend all my fans and followers not to forget to take these breaks in between the hectic day-to-day lives! Back in office, my team wrapped up a successful photoshoot yesterday with ace photographer Bharat Bhirangi and his team, for an upcoming campaign. 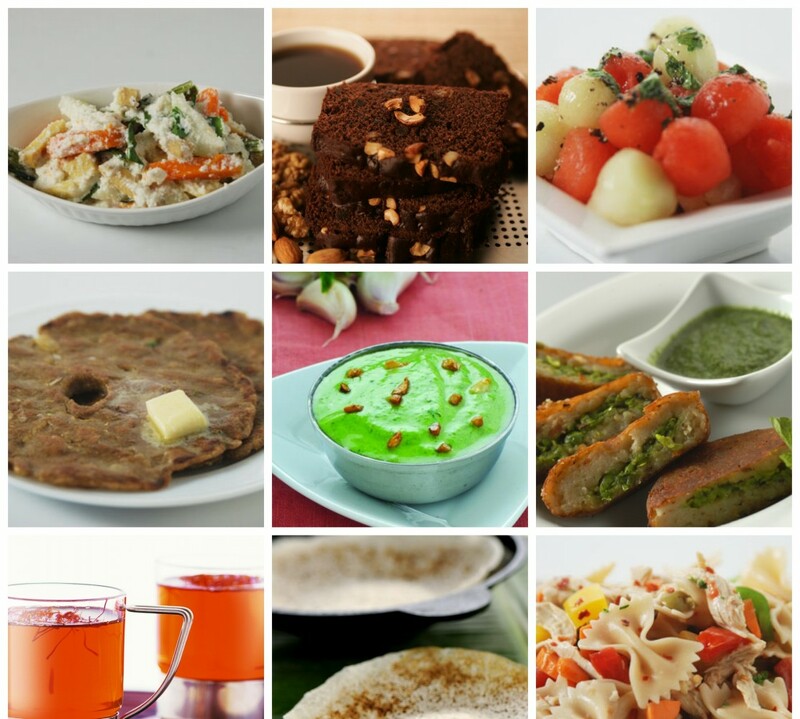 A dozen of recipes were prepared and plated as beautifully as they could have been to get some amazing clicks. Alongwith this trials are continuing for a new restaurant concept. The book on Tiffins is in its last stage of making. Designer Sameer Madye was in office yesterday to give final touches to the book with our editore. The book is shaping out very well. A must check when it is out! 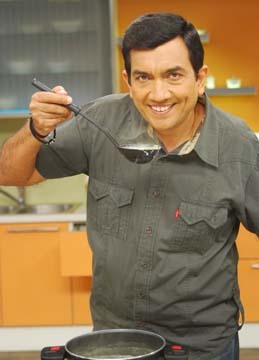 Also, FoodFood is having some events lined up with Chef Harpal Singh Sokhi around May 20, 2012 and later this month. Had a great memorable Ayurvedic show at WACS (World Association of Chefs Societies) in Daejon, South Korea and when I got back to India, immediately travelled to New Delhi for some work! Just after New Delhi, went to Dubai where I had a live show at our restaurant Options yesterday – went off pretty well! After that, I visited our other restaurant Signature which is all set to open what with the final food trials going in full steam as well as the designing of the final look of the menu and recipes. All taking up a great shape, I must say. Returned from Dubai early this morning and now I shall get down to the preparations for a Star CJ Shoot scheduled on Thursday May 9. Then the coming weekend I’ll be travelling to Singapore and Malaysia alongwith family for a much needed vacation. Already in Daejon, South Korea for WACS (World Association of Chefs Society) and loving it for sure! It’s day 2 over here and as I prepare for the session on How to Feed the Planet, scheduled to happen on May 4, 2012, I decided to give you all some updates. Immediately after this I will be presenting a demo on Ayurvedic Way of Indian Cooking where I will be preparing an interesting Biryani in an earthenware handi in traditional way using lots of Ayurvedic herbs which I’ve carried from India. I will also be referring to the ancient manuscripts (on food) in Sanskrit and a bibliography of literature available in India on food of ancient times during this session. Excited and elated is what I feel right now as I get the opportunity to talk about this beautiful Indian science!